Today’s recipe is another one from Sophie Dahl’s cookbook “Miss Dahl’s Voluptuous Delights”. I still have lots of Sophie’s lovely orange yoghurt and polenta cake to eat in the afternoon, but I needed to make something to enjoy for a quick breakfast during the week. I definitely don’t have time to whip up a batch of english muffins during the week! 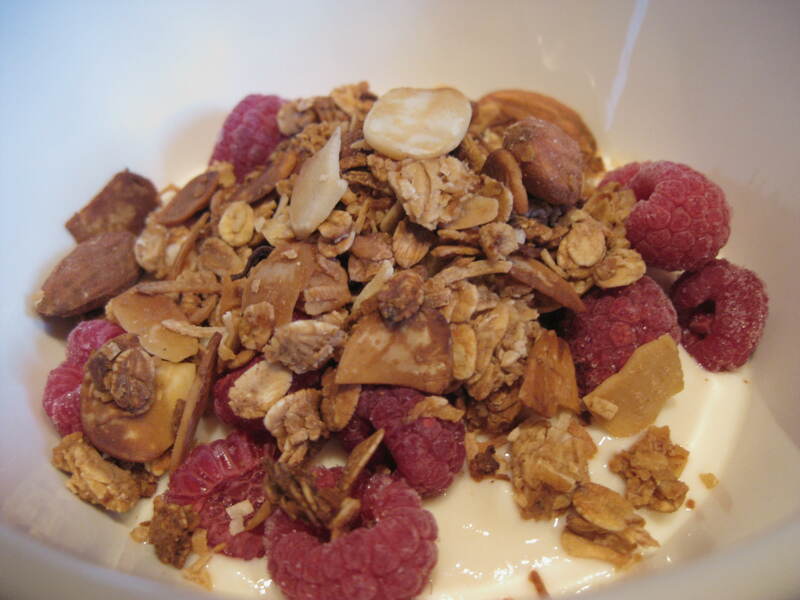 This recipe for tawny granola, tucked into the autumn breakfast section of the book is my most used from this book. I like making this granola in bulk and storing it in a tin so that I can make a quick and delicious breakfast every day. The introduction to this recipe says that it “makes one feel very fifties housewife, because as it bakes the house is bathed in a warm cinnamon-y glow”, and it’s true, the house really does smell delicous when this is baking! 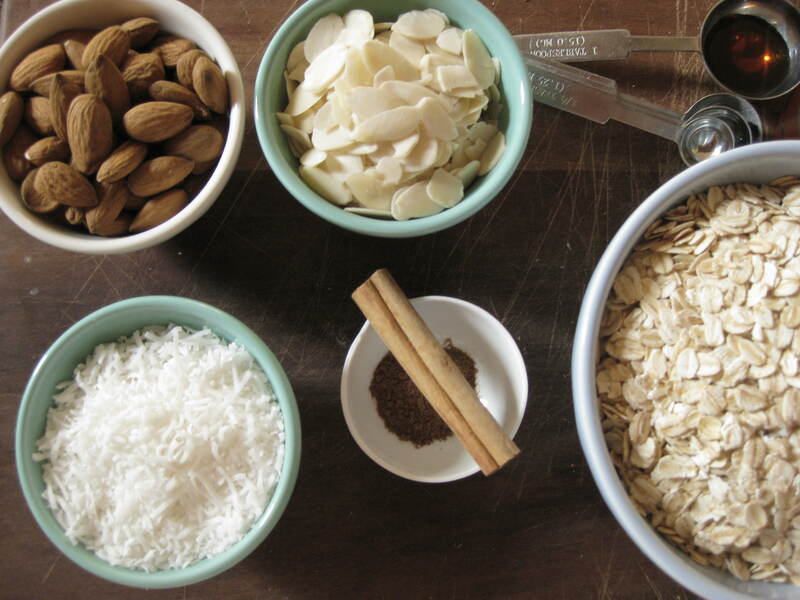 Combine all the oats, almonds, coconut and spices together in a mixing bowl. Add the apple juice, vanilla and half of the honey and stir to combine. Add the remaining honey and stir a few more times until all ingredients are well combined. Spread the mixture out on a baking tray fairly evenly and pop in the oven. 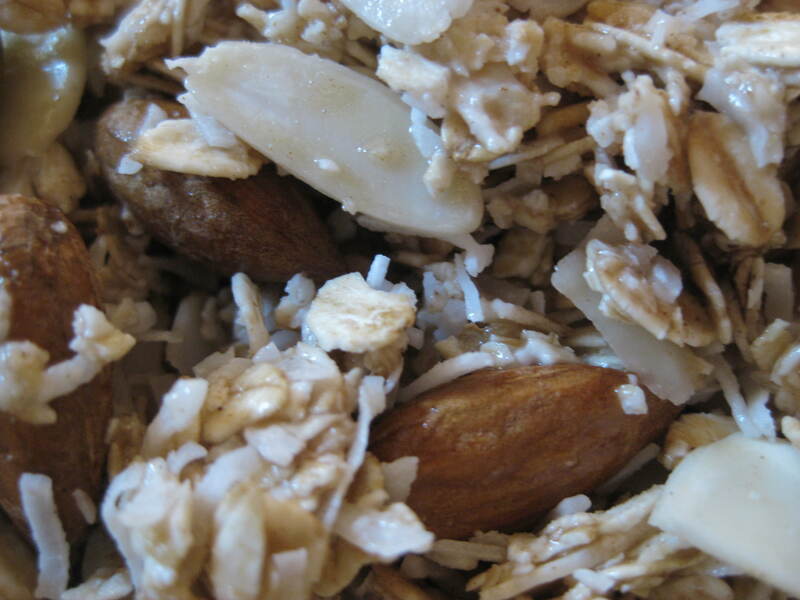 Keep an eye on the granola, when it browns stir it a little to break it up and ensure it cooks evenly. It will need about 30 – 40 minutes in the oven in total. After taking it out of the oven allow it to cool before using. The ingredient list is very flexible and it also tastes good if you swap some of the almonds with seeds or if you mix in some dried fruit such as currants or apricots after the granola has cooked. Try it with some yoghurt and poached fruit or fresh berries for a tasty and healthy breakfast or afternoon snack. P.S. 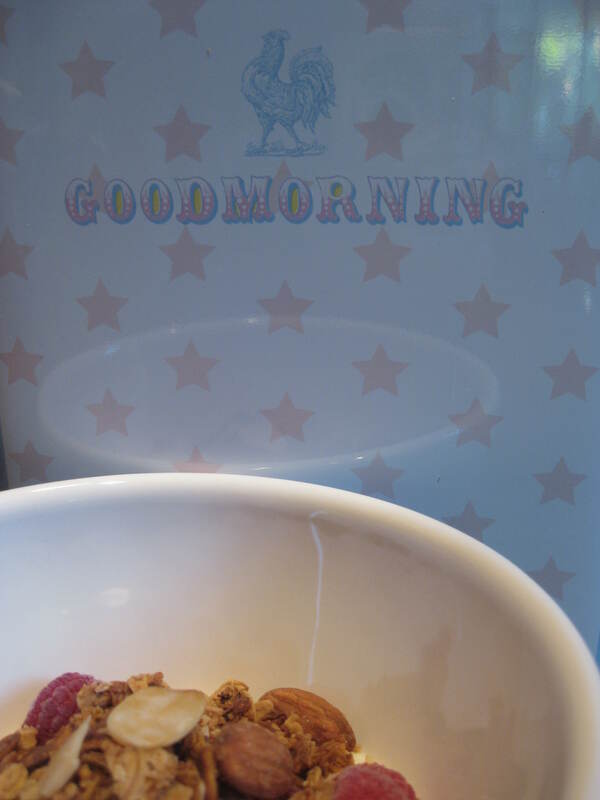 How cute is my little breakfast cereal tin? It makes for a lovely start to the day!